Save HFN as Web-App on the Home-Screen of your Smartphone or Tablet. So you will get quick access to our healthy Fitness Recipes with just one Click! 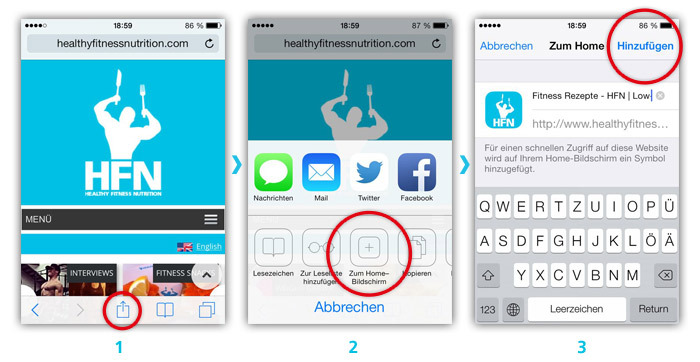 Open www.HealthyFitnessNutrition.com in your Browser and click on the star-icon in the context-menu (three dots on the right-top of your screen). In the Bookmarks click “Add to Home Screen” at the “Mobile Bookmarks”-section.